The smell of freshly pressed dust, the sounds of rattlesnakes on all sides, the hot near-Summer sun beating down on us. For miles we hiked on the worn, beaten dirt path, ascended mountainous slopes, and descended slippery rock trails. For miles we stretched our young, taut calves in order to proceed. For miles we chugged on sweet, hydrating water to refill our stores lost from sweat and waste. And finally we reached our destination: the entrance of Laguna Coast Wilderness Park, a dusty, wildness filled land south of the 405. Now, Laguna Coast Wilderness Park, as described by the park ranger, was scheduled to become a suburb with 32 houses and a nice swimming pool. However, with the joint efforts of neighbors, anonymous donors, and the state, Laguna Coast Wilderness Park was reserved as a recreational area, the only one in the west coast for dozens of miles. Just earlier today, I came along with Troop 105, subordinate to my Venturing Crew 105, as a Junior leader. It was my first hike in months, and I was looking forward to it. My friend and I, being junior leaders, trailed behind the troop with the first aid kit, helping those who fell behind. Thankfully, the problem we faced with injuries were kids with hot spots, easily fixed with a bit of duct tape, but we had a bigger problem: Our scouts were littering. 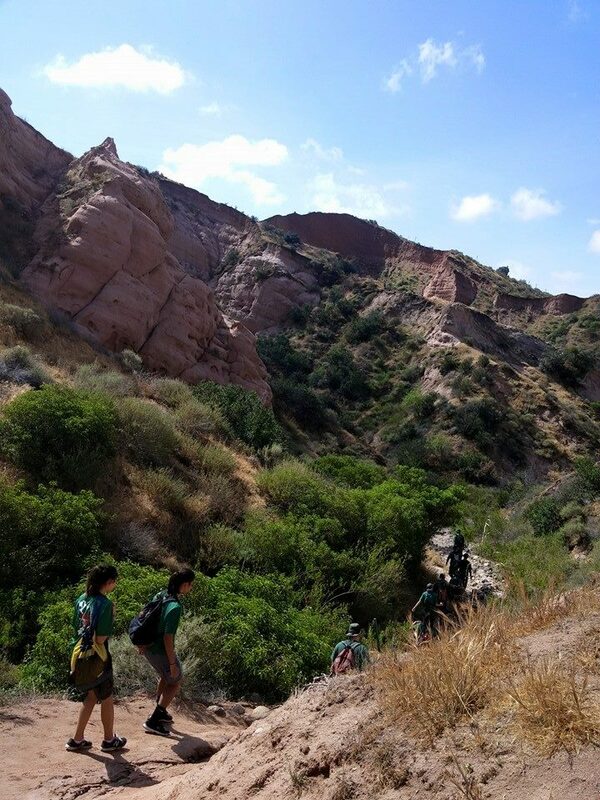 I was appalled, just before the hike, we reviewed the basics of Leave No Trace: Being clean in our outdoor manners, being careful with fire, being considerate in the outdoors, being conservation minded. I found that these boys, these Scouts, were disobeying the principles of Leave No Trace. One scout had a can of Arizona and dropped it on the ground like it was nothing. Another saw a dead rabbit and was taking pictures of it while laughing. Now, our Scoutmaster stopped us on our hike and start to lecture these kids. He emptied out his pockets, and almost a dozen plastic wrappers came out. What I find disappointing is that these Scouts, who find themselves in nature so constantly, cannot comprehend the impact that these manmade products can have on an ecosystem. Granted most of them aren’t even in highschool yet, and some just started middle school, but plastic wrappers can absolutely wreak havoc on nature, where animals can eat the wrappers, knowing no better, and end up like Mr. Rabbit. I believe that the environment is an issue that needs to be handled now, not put in the back burner for future generations to deal with. If even Boy Scouts, can’t appreciate the value of nature, who will? Previous Article If You Want Some, Come Get Some!